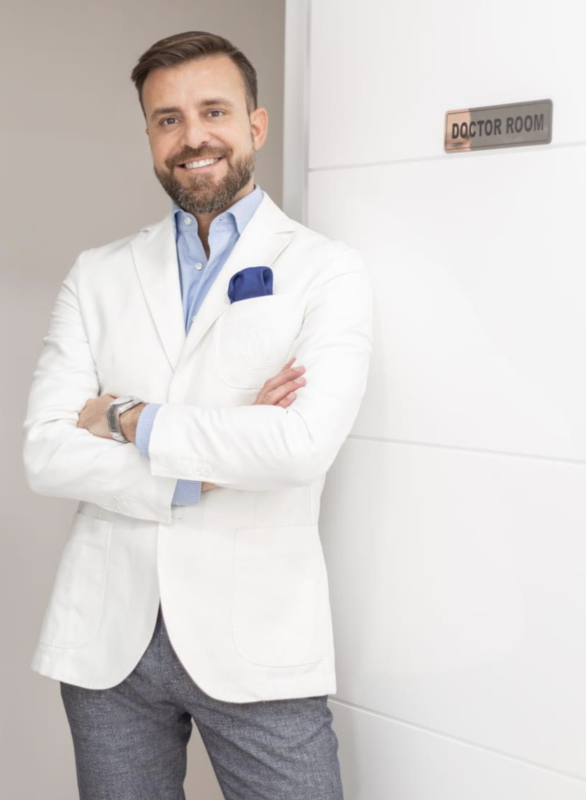 Dr Matteo Vigo graduated in Milan in 2004 and specialized in Plastic and Reconstructive Surgery in 2009. He then refined his skills in the Aesthetic Surgery field, developing great experience in breast surgery, liposuction and body contouring techniques. He started working in Dubai in 2012 and he has been Chief of Surgery and Chief Medical Officer at American Academy of Cosmetic Surgery Hospital until march 2017. He has recently joined Bioscience Clinic Middle East to increase his interest in the field of regenerative medicine with the use of stem cells. He has now been appointed as Medical Director and Plastic Surgeon in Amwaj Polyclinic in JBR and cooperates with Healthbay Polyclinic in Dubai. I would like to thank Dr. Matteo Vigo for his professionalism and sense of beauty for the results I always achieved visiting him for my botox treatment. I was so dubious the first time but I can say that the result have been amazing. Very natural looking thanks to his skill and in few seconds he took away 10 years from my face! After years of treatments I’m always very happy. Highly recommended! !